It makes one nostalgic for the good old days when most important public figures, and the documentaries about them, were comfortingly soporific. Not that veteran TV and doc producer-directors Betsy West’s and Julie Cohen’s methodically constructed profile doesn’t have its funny, light-hearted moments. Paradoxically, one of the best is Ginsburg’s children, Jane and James Ginsburg, reminiscing about how as kids they used to keep a thin scrapbook titled something like Times When Mom Laughed. There weren’t many entries, they recall. But they say it smilingly, clearly feeling deep affection for their parent, and viewers are likely to empathize with a similar warm regard for this fine-grained work and its subject, a living secular saint deserving all the tributes heaped on her here, some from surprising quarters. Adroitly edited by Carla Gutierrez so as to have an even, steady flow as well as distinct thematic components, the material is roughly organized around 1993-shot footage of Ginsburg’s confirmation hearing before the Senate where she was grilled by Senators Joe Biden, Orrin Hatch and Ted Kennedy, among others. 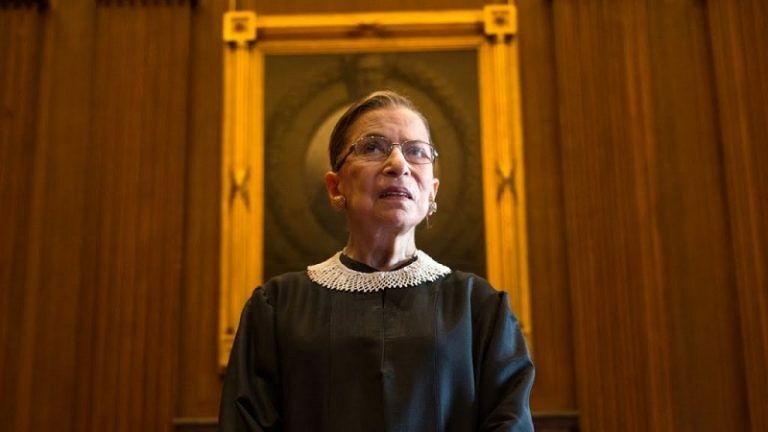 Ginsburg’s own discussion then of the key cases she brought to the Supreme Court in the 1970s, such as Frontiero v. Richardson and Weinberger v. Wiesenfeld, in turn prompts detailed explanations of how each case fit into a larger legal strategy to establish more equal rights for both women and men by tackling discrepancies in employers’ benefits and social security entitlements.